Indigenous Services Minister Jane Philpott says she supports efforts by First Nation youth to replace their current lead and asbestos tainted high school and end the billeting system that has added to the struggles of students who face a "constant fear" in Thunder Bay. Indigenous Services Minister Jane Philpott says she supports efforts by a group of northern Ontario First Nations youth for a new high school and an end to the billeting system that adds to the struggles of students who face "constant fear" in Thunder Bay. Youth in remote and fly-in First Nations in northern Ontario must attend high school in urban centres and Thunder Bay is one of the cities with a destination high school. 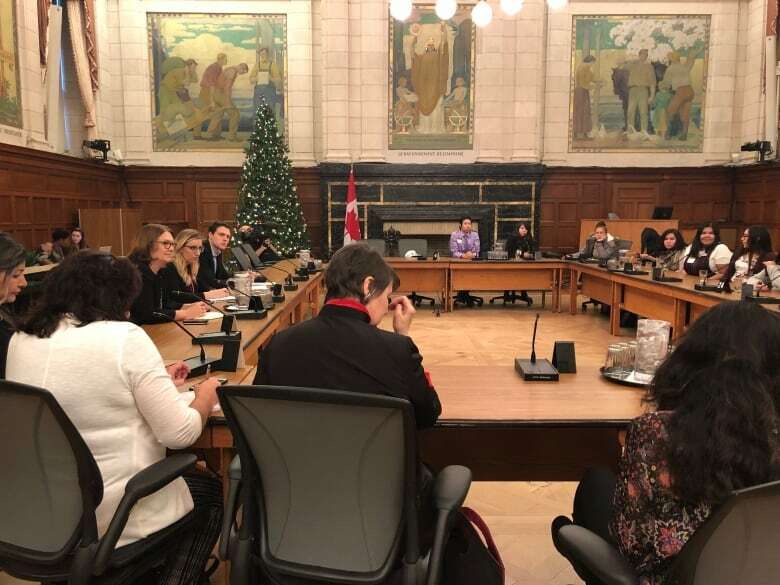 Philpott met Monday on Parliament Hill with 10 First Nations students who are currently attending Dennis Franklin Cromarty High School. "I told them I was a big champion of their dreams to see that new, or improved school built as soon as possible," she said. "We know how important this initiative is." Between 2000 and 2011, six students who were billeted in homes around the city and attended Dennis Franklin Cromarty High School died. Their deaths were the subject of a high profile coroner's inquest which concluded in 2016. Alexis Angeconeb, 15, whose family is from Sachigo Lake First Nation, said the new school needs to come with a residence for students because the current billeting system where students stay in homes scattered around the city creates too many problems with racism and crime. "I don't want my siblings to deal with all the bad stuff, being afraid for your life in a city that scares you," said Angeconeb, who is in Grade 10 and stays with relatives in the city. "Every day you are looking behind your back and making sure you are OK. I don't want them to live with a constant fear." Her brother Kaiden Angeconeb, 16 and in Grade 11, lives with a school guidance counsellor, but said it takes him an hour and a half on the city bus to get to school every day. "Sometimes drunks ride it too and they are really talkative and it's annoying to have to deal with that," said Kaiden. "And if you don't talk to them they get mad at you or try to argue with you." The high school, which is run by the Northern Nishnawbe Education Council, is also beset by structural problems. On Nov. 19, the school was forced to temporarily shut down its gym after water from the ceiling flooded the floor, creating condensation on the mat-covered walls. Just last year, the Toronto Raptors Community Action Grant donated $50,000 to renovate the gym. Alexis Angeconeb said the ceiling in the bathroom once fell in, covering the toilets, floor and sink with asbestos. Greg Chomut, a teacher at the high school, said the school's roof has been renovated twice in the 10 years he's taught there, and it continues to fail. Chomut said asbestos has been removed from the first floor of the school, which still has lead pipes. There are only three water fountains that have drinkable water in the school. 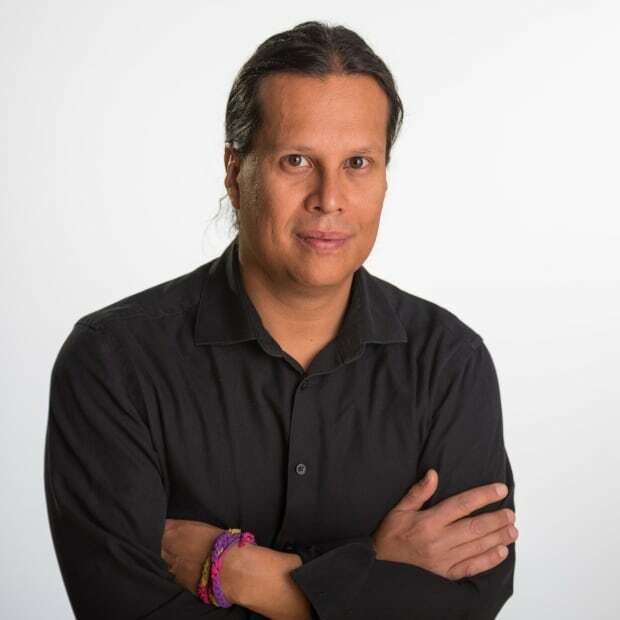 Chomut said there are about 100 students attending the school this year, down from 150 the year before, because parents are increasingly reluctant to send their children to Thunder Bay. Philpott said she is waiting for the completion of a feasibility study on a new school project which is due this coming March before determining Ottawa's next steps. Philpott said Ottawa hasn't historically funded off-reserve schools but Indigenous Services recently provided $10 million to Southeast Collegiate in Winnipeg, which provides education to students from remote northern First Nations in Manitoba. Philpott said she expects Ontario and Thunder Bay to contribute to a new school along with involvement from the not-for-profit sector. "We will look at the feasibility study as soon as it is done and hope to have good news to share after that," said Philpott.